Google Shopping has made a huge impact on the Irish e-commerce landscape. Sure enough, it's made a few waves with the European Commission lately too, but its effectiveness can't be questioned. 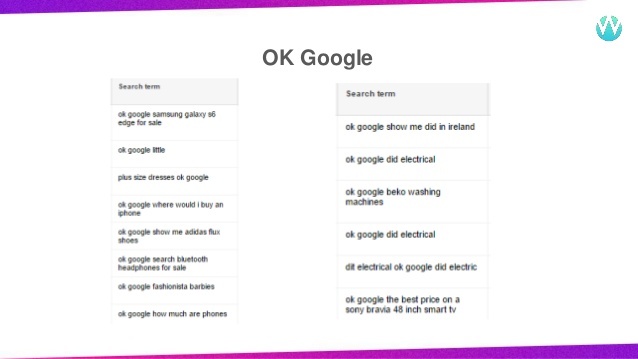 At Wolfgang Essentials to show Ireland's digital marketing community that Google Shopping is eating SERPs. I'm going to talk to you about how Google Shopping is eating SERPs. Google Shopping has really taken over the search engine results page since it came into Ireland in late 2016. Google Shopping ads are product image ads that you see at the top and at the right of the Google search results page. The price is there and when you click you're taken through to the product landing page. Shopping ads are triggered by a product feed so it's really important that the data is accurate in the feed. This means the right products are triggering the right ads. There are no keywords, so this is another move by Google to step away from keyword led campaigns. As I said it came out in late 2016 and we saw earlier adopters realise 100% growth in revenue versus those who didn't get on board with Google Shopping. We find this rings true with many early adopters of innovations both on Google and on Facebook. Aidan isn't the only one that likes to crowbar a reference to sport into his presentations. I have Pep here to represent tactics that you can apply to your shopping. Gabriela will talk to you in a second about audiences but you can also use audiences with Google Shopping. You might say I want to capture my Facebook traffic and when they search for a product I definitely want to show them a Google Shopping ad. You might be a mobile phone operator with a great big bank of pay-as-you-go customers that you want to convert to monthly bill pay customers. You capture them as an audience and if they search for the new iPhone or the new Samsung then you're going to show them a monthly bill pay. Another thing you should definitely do is apply some feed rules to your shopping. You might be selling a range of wallets and one your wallets might be really cheap and you're not going to make a return on it. You won't be able to add wallets as a negative because then that would rule out your entire range of wallets from showing. What you can do is set up a feed rule and say all my wallets are less than five euro. I want to create a custom label and make sure that this product does not show when someone searches for wallets. 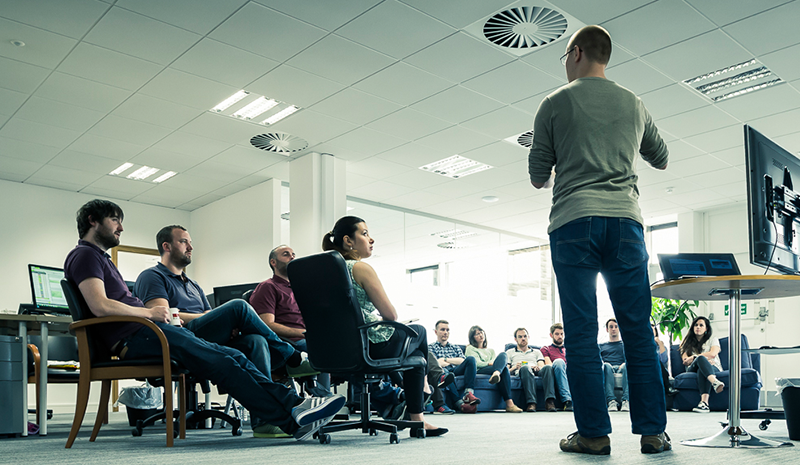 What you're going to do then is maximize where your budget is going towards products that are going to deliver a return. Michaela has already given a demonstration of Google Home, Google Assistant and voice search. We're also seeing this impact our lives as paid search marketers. Here is a look at the search term report. This is what people are actually searching and triggering ads with. What we can see here is key. People are already talking to Google and carrying out voice searches. They're asking “Ok, Google. Samsung Galaxy S6” or Ok, Google BEKO washing machine”. A couple of weeks ago Google had their Google Marketing Next conference where they spoke about an integration between voice search, the Google Assistant and shopping. It’s based on a local inventory feed which is like your product feed for local physical stores. For example, I could say “Ok, Google. Where can I buy a 50-inch LG television” and the Google assistant will tell me that I can buy one in DID Electrical, Crumlin. That store is five miles away and it'll cost €500. They'll also ask me if they want to send that result to my devices with directions to the store. The first instance of this is actually free. Google isn't charging and they haven't monetised it yet. I suppose that the paid iteration won't be too far behind. I won't pronounce his name but he's the Senior Vice President of advertising and commerce in Google. 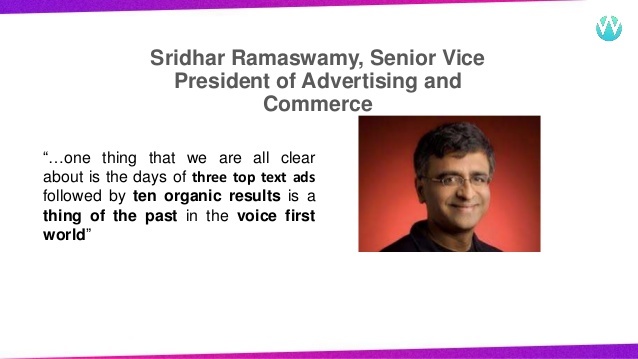 He said that in a voice first search world the days of three top text ads and ten organic results is a thing of the past. As Michaela mentioned earlier, the first result is going to become increasingly important. As more people carry out voice searches the product feed is going to become much more critical along with the data that you have present in there. Thank you.